A family with a long history in the city's hospitality industry is turning a tired corner store property along the busy Shelbourne corridor into a smart neighbourhood bistro. Brothers Adam and Michael Helm along with partner Cole Byers have spent months gutting and remodelling the former Tan's Market on Shelbourne Street at McRae Aveune. They plan to open McRae's -- serving West Coast pub-style fare with local beers and wines -- sometime in the next week. From left, Cole Byers, Michael Helm and Adam Helm in front of McRae's, a soon-to-open bistro on Shelbourne Street. "We get tons of people stopping by asking what we're doing, when we're going to open," said Adam Helm. "We think it's a great spot and something that's really needed here." 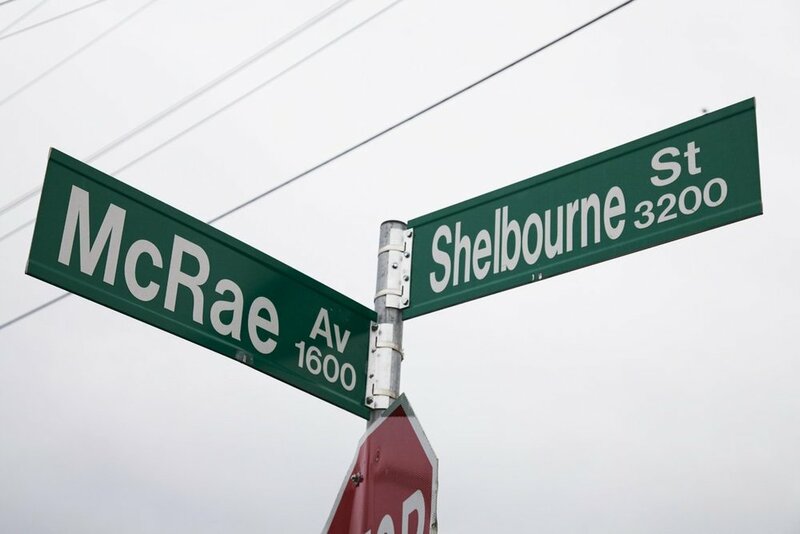 The partners say McRae's fills a void along one of the region's busiest thoroughfares, catering not only to the neighbourhoods between Hillside mall and Shelbourne Plaza, but to students at nearby Camosun College as well as the University of Victoria. The Helm family are no strangers to the area -- or the industry. Their father, Lyndon Helm, built Maude Hunter's Pub further up Shelbourne and later Christie's Carriage House in the Jubilee neighbourhood, where both Adam and Michael cut their teeth in the business washing dishes. Their grandfather, Albert Eudoris Helm, was the founder of the enduring Helm's Inn at the gate to Beacon Hill Park. All three businesses remain going concerns -- some would say institutions, although the family has divested its interests. Lyndon also founded Saanich Rentals, carving off some of the property to build Maude Hunter's in 1982. 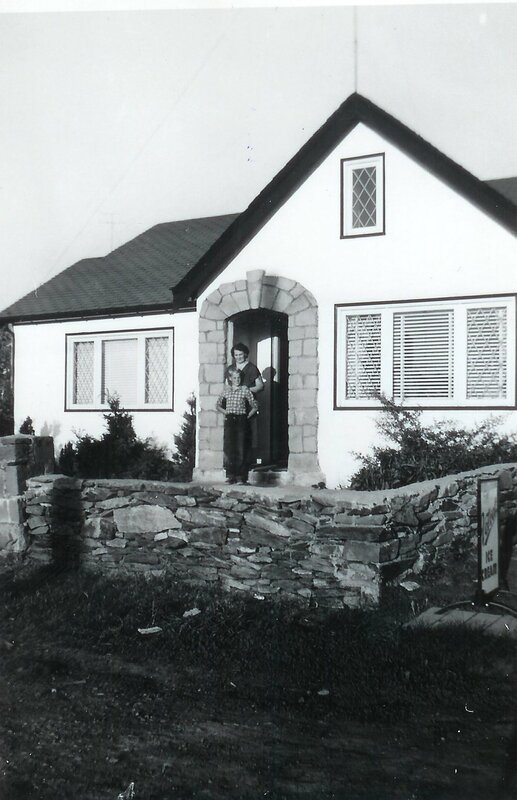 The Helms were also raised just up the street on the slope of Mount Tolmie, where the family has lived for 39 years. "I am very proud of what the boys are doing," said Lyndon. "This is their project, their idea and I think it's a good one. They worked their up at Christie's, went and did their own things for a while and have come back full circle to do what they really know and love." The move to food and beverage was a natural shift for the brothers. Adam, 32, and Michael, 27, had operated a u-brew business on Interurban, taking Brew Works out of receivership in 2007 and turning a profit within a few months. They sold it recently to qualify for a food primary liquor licence at McRae's, which is expected to be approved in the coming days. They've had their eye on the property for years, and grabbed the lease when a plant nursery and cafe ended a brief stint at the site late last year. Byers, a towering former professional hockey player and friend of the Helms, joined them as a partner after surveying the site. "I came over here one night about midnight and just walked around and thought 'this is perfect,'" said Byers, 27, a Nipawin, Sask., native who played with the Notre Dame Hounds and Mooose Jaw Warriors before embarking on a six-year pro career -- mostly in Europe. He retired after a season with the Victoria Salmon Kings and is the cousin of long-time Boston Bruins tough guy Lyndon Byers and has a younger brother, Dane, in the New York Rangers organization. Green and black olives served with baguette. Chicken breast simmered with vegetables in a red wine and tomato sauce on top of creamy mashed potatoes. two eggs any style, applewood smoked bacon, local breakfast sausage or ham, hash browns, and your choice of toast: white, multi-grain, sour-dough, or marble-rye. your choice of chorizo sausage, bacon or veggies tossed with pico de gallo, pepper,s shredded cheese and two scrambled eggs. served in a warm roma-tomato tortilla with hash browns. your choice of chorizo sausage, bacon or veggies tossed in pico de gallo, peppers, three-cheese blend and two scrambled eggs. Served in a warm roma-tomato tortilla with hash-browns. chorizo, bacon, caramelized onion, goat cheese, fresh tomato, green onion and two scrambled eggs tossed in hash browns. poached eggs with ham, bacon or fresh tomato on a toasted English muffin and dressed with hollandaise. Served with hash browns. poached eggs with caramelized onion, guacamole and bacon on a toasted english muffin dressed with hollandaise and Franks hot-sauce. Served with hash browns. includes your choice of fries, wedge fries, soup, salad, chips & salsa, or onion rings. upgrade to mac&cheese, caesar or greek salad or yam fries $2. add a second side for $3. ground beef chuck 6 oz patty, cheddar cheese, tomato, lettuce, pickle, and red onion on a toasted sour-dough kaiser with chipotle aioli. roast turkey breast, bacon, red onion, tomato, lettuce, honey dijon and lemon-garlic aioli served in wrap, or served classic triple decker style. Try it in a wrap. grilled chicken breast tossed in house house balsamic glaze on a toasted portuguese bun with dried figs, bacon, goat cheese, wild arugula, red onion, tomato and mayonnaise. thinly sliced roast beef, swiss cheese, onion, french baguette, horseradish aioli served with house au jus. slow braised memphis rub, served with chipotle bbq sauce and sweet and spicy coleslaw on a portuguese bun. curry chickpea falafel in a spinach tortilla with coconut-curry aioli, goat cheese, red pepper, zucchini and spring mix. choice of tempura battered cod or pulled pork on soft corn tortilla shells with sweet and spicy coleslaw, pico de gallo, chipotle aioli and cilantro. Served with a lime. crispy tortilla chips, shredded cheese, jalapeños, peppers, tomatoes and black olives. Served with sour cream and salsa. cranberries, bacon, house spices, balsamic reduction. crispy on the outside, tender on the inside, served with in house Hahn-tastic sauce aioli. french fries and cheese curds smothered in our house gravy. house spring mix, carrots, BC grown apples, dates, red onion, roasted almonds, whip balsamic vinaigrette. crisp romaine lettuce tossed in caesar dressing with parmesan, garlic croutons, and bacon bits. fresh greens, arugula, feta cheese, pumpkin seeds, cranberries, cucumbers, red peppers, zucchini honey lemon vinaigrette. cajun roasted chicken breast, black beans, corn, peppers, tomato, red onion, romaine hearts, guacamole crispy flour tortilla, chipotle crema. 8 oz hand carved Canadian sirloin served on fresh focaccia with whipped peppercorn butter and your choice of two sides. one or two piece smoked paprika beer-battered cod fillets served with fries, sweet &s spicy coleslaw, and cajun remoulade on the side. lasagne noodles, meat sauce, marinara, spinach, cottage cheese and parmesan, topped with mozzarella. Made from scratch, baked to a golden brown and served with garlic toast. potato-cheddar perogies, tossed in cajun spice, caramelized onions, bacon and grilled chorizo. Topped with bacon, sour cream and green onions.